In a small bowl, combine the Creole mustard, vinegar, salt and pepper. Whisk until well blended. Add the olive oil slowly, whisking constantly, until completely incorporated. Stir in the chopped green onions and tarragon. Let stand at room temperature while the asparagus is cooking. Steam or grill the asparagus just until the spears can be easily pierced with a fork. 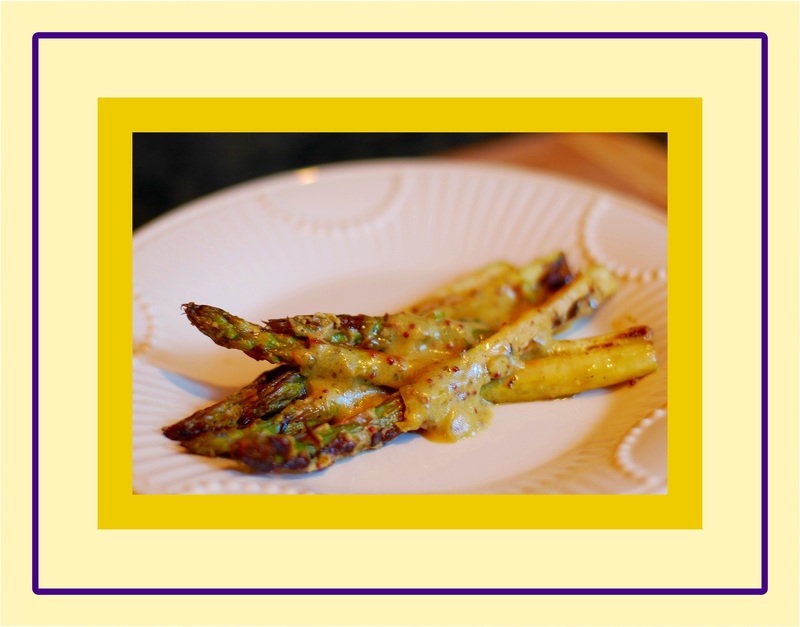 Arrange the warm asparagus on a serving plate and drizzle a small amount of the vinaigrette over the spears. Serves 4.